Ireland would need emergency aid from the EU in the event of a no-deal Brexit the former head of the World Trade Organisation (WTO) has said. 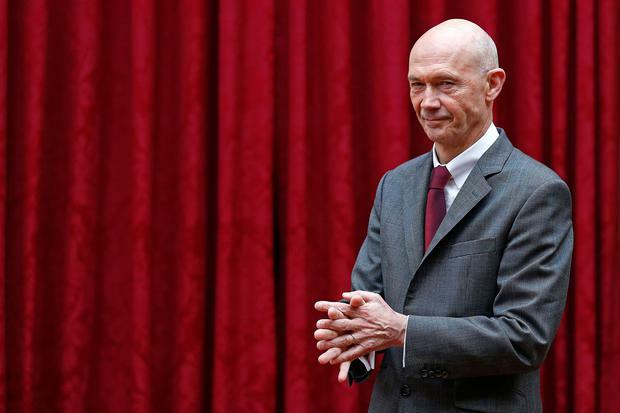 Ireland is set to be economically worst hit by a no-deal scenario if Britain fails to find a solution before the March deadline next year, according to Pascal Lamy. “This is something that needs to be in our mind. Yes Ireland would be the most hit both in quantity and proportion and then there should be some sort of EU solidarity,” he said, speaking on RTÉ’s This Week programme this afternoon. A debate would be sparked throughout the EU27 as to who should pick up the bill but regardless the issue of EU aid should remain a priority, according to the former WTO Director-general. “Of course there would be people in the continent who say ‘why should we pay for the British not being able to agree on a solution’," he said. Mr Lamy also reiterated warnings that tehre would be "no way" to avoid a hard border on the island in the event of a no deal. He said the border in Northern Ireland remains a top priority across Europe although many did not fully understand the historical context. “EU is also about solidarity and specifically solidarity with, let’s say, the smallest and the weakest. I think the Irish question resonates quite a lot on the continent among EU leaders,” he said. “Most Europeans do not know precisely about the history and relationship with Great Britain and Ireland. “But there is a view on the continent that this Irish questions is extremely sensitive I don’t think there is any risk of the Irish being let down on this question," he said. “If there cannot be an agreement on the future trade regime and the UK nevertheless exits in March next year there has to be a solution that guarantees that there will be no border," he added. Both Taoiseach Leo Varadkar and Tanáiste Simon Coveney have said they are confident that a deal can be reached by October. The Government is planning for all outcomes however, including a crash out scenario.